The second half of my list of the most anticipated films yet to be released in 2014. Alright, so yet to be released might not apply here as it has officially opened and plenty of people are screening this film as we speak, but as I have yet to see it (will be doing so over the weekend) I feel it must be included. I have never held Dreamworks Animation to a very high standard, and because of this I was floored by the 2010 animated masterpiece (that's right, masterpiece) How to Train Your Dragon. The original film filled me with joy, dazzled me at every turn, and appealed to both my inner child and also the adult I am today. 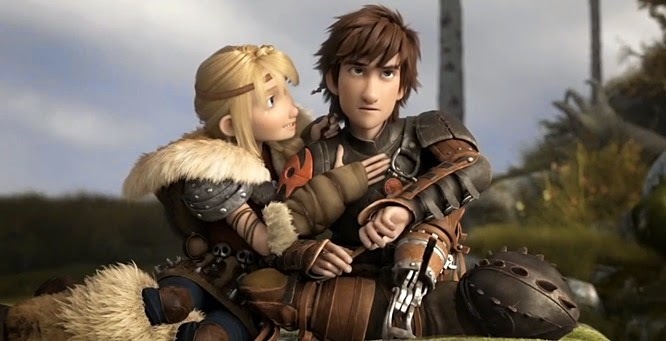 After multiple wondrous viewings, I elevated the story of young Hiccup and his beautiful friendship with a dragon named Toothless to one of my three favorite animated films ever made, behind only the original Toy Story and the breathtaking Miyazaki feature My Neighbor Totoro. With the intense love I feel for the first film, its impossible not to walk into the cinema this weekend with massive, potentially unreachable expectations. Who knows, perhaps DeBlois can deliver the Empire Strikes Back of animated films, a sequel that somehow manages to rise above the lofty standards set by the first. Regardless, even if it falls short, I can't wait to soar through the air with these wonderful characters again. Boyhood ranks as my number four most anticipated film, but I have this gut feeling it could end up being my favorite work of the year. The ultimate passion project, a film that redefines the idea of a coming of age story, Linklater wanted to do a story about the life of a boy, following him from the age of 6 through the age of 18 but he didn't want to follow a normal brief filming timeline and recast different kids to represent different ages. He wanted authenticity unlike anything seen in cinema before, so Boyhood literally took twelve years to film before completion, allowing us to watch the same boy grow up before our very eyes. That alone could be looked at as merely a gimmick, but the film is getting absolutely rave reviews after playing at various festivals, currently holding an absurdly high Metacritic score of 96/100 with the reviews of 8 critics posted thus far, not to mention recently winning the Best Film award at the Seattle International Film Festival. Linklater might be best known for the iconic comedy Dazed and Confused, and for good reason considering what a fantastic and memorable film that is, but if you need proof that he can handle human relationships and emotions beautifully go check out his sublime Before trilogy, the love story of Jesse (Ethan Hawke) and Celine (Julie Delpy) beginning with Before Sunrise in 1995, followed by Before Sunset in 2004, and concluding with Before Midnight in 2013. Much like the release dates, the story picks up every nine years as well and we are updated on the status of their relationship, and no trilogy has felt more honest and real. I cannot wait to see how Linklater handles the entire adolescence of a child. Check out the trailer above. 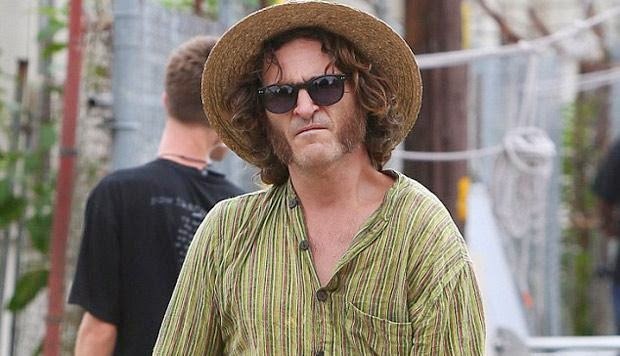 There is a simple reason Inherent Vice ranks so highly on my most anticipated list: Paul Thomas Anderson. When he makes a film, I am seeing it, plain and simple. His last work was the flawless masterpiece The Master, and he returns here with an adaptation of the psychedelic noir work of fiction sharing the same title by Thomas Pynchon. When I read the book, I couldn't help but notice the striking similarities between its content and the film The Big Lebowski, which is never, ever a bad thing seeing as that is my all time favorite comedy. Inherent Vice follows a private detective named Larry "Doc" Sportello as he investigates the mysterious disappearance of his ex-girlfriend and her new boyfriend, and the farther he digs for the truth the more bizarre the story gets. After watching the fantastic 2007 film There Will Be Blood by PT Anderson, I immediately started considering him a modern day Kubrick mainly because it seems like no matter what genre or subject matter Anderson attempts to tackle, he nails it. I am intrigued to see what he does with this Pynchon material as it is highly comedic, a total change of pace from The Master. Inherent Vice is due out in December, right during awards season, and don't be surprised to see quite a few Oscar nominations rolling in for this film when the time comes. Much like the previous film Inherent Vice, look no further for a reason to see Gone Girl than the man listed as the director of the project. David friggin' Fincher, a man whose work I truly admire starting with the way he kept me up at night with Se7en when I saw it at an age far too young and he is still knocking them out of the park as of 2011 with his American adaptation of The Girl with the Dragon Tattoo. In my opinion his finest work came in 2010 when he released The Social Network, a film so perfectly crafted that it finds itself comfortably sitting in my top ten films of all time. Don't even get me started on the fact that it lost out on Best Picture to The King's Speech. Absolutely criminal. The film is an adaptation of a pretty darn good but not great source material, the novel of the same name by Gillian Flynn who is also handling screenwriting duties for the film. The reason to be optimistic that a pretty good source material can become something brilliant with transitioning to the big screen is that the man in charge will know exactly how to handle such a dark concept, a story of a missing wife and the lead suspect being an innocent husband with plenty of twists and turns along the way. Dragon Tattoo felt similar in terms of quality, a good but not great novel, and what Fincher did in terms of atmosphere along with the perfect Trent Reznor and Atticus Ross score (also returning here) was spectacular entertainment. We have arrived at number one, the film I can am so excited about I can barely contain it. Interstellar is the first original work by Christopher Nolan since he blew away audiences worldwide with Inception, and everything about this massive in scope release seems to indicate it will garner very much the same reaction. Featuring an all star cast and a fascinating story based on real life scientific possibilities, the trailer (posted above) is stunning and Nolan's love for using IMAX cameras should produce a grand, majestic picture. My expectations were always going to be high with a auteur like Nolan sitting in the directors chair, but they went through the roof when the release date was announced as November 7th. This may seem like no big deal to some, but with Nolan stuck in the summer tent-pole slot multiple films in a row prior to this, the move to November is a telling sign that Warner Bros. has high hopes for this one both financially speaking and in terms of award possibilities.